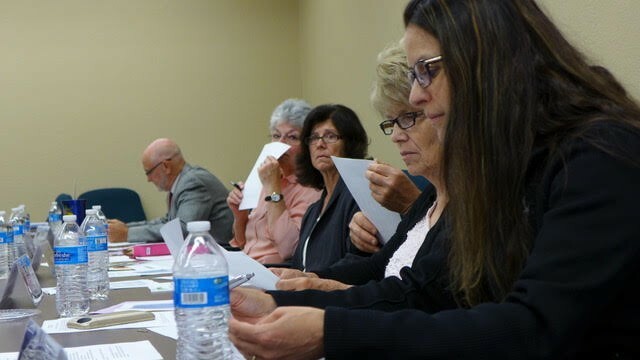 In a report given to the members of the Rocky Mountain Executive Committee on September 25, George Crumley, RMC VP for finance, said that through the month of August of this year, total tithe was $10,552,725. “This indicates a very strong increase of 10.97 percent. We praise the Lord for the faithfulness of our members in returning their tithes and offerings to support God’s work in Rocky Mountain Conference and beyond," he said. The committee also received a report about the sale of the Industrial Park at Campion. The proceeds reimbursed the conference for it’s operation of the park for the past years, and the remaining funds will benefit Campion Academy’s endowment fund. The committee approved employment of a development director whose main responsibility would zero-in on increasing the fund income to be used for student aid. Darci Force, who formerly served Southwestern Adventist University in this same role, has been employed as development director, according to Don Reeder, principal of Campion Academy. In the Education report, RMC VP for education, Lonnie Hetterle informed the committee of an increased enrollment for most of our schools. He also said that “Distance Learning is being implemented in several of the schools in RMC, and some even involve students from other countries in distance learning,” he said. In his remarks to the committee, Ed Barnett, RMC president, commended student involvement in evangelism. “Wildfire student evangelism program in Pueblo last summer resulted in 16 baptisms and one profession of faith,” he said. Staff changes are taking place in the RMC office, said Eric Nelson, VP for administration. RMC youth director, Steve Hamilton, has accepted the senior pastor position for the Paradise Church in central California; Noemi Borjon has taken a full-time position in the HR department, a position previously held by Vivien Vivanco; Hector Bonillia is serving the office as maintenance worker; and Matt Moreland transferred from the youth department to the serve as Trust Field Representative. The committee voted recommendations to Mid-America Union Conference Executive Committee to ordain Chuck Gadway, district pastor in Northern Wyoming, David Rodriguez, pastor of Westminster Hispanic Church, Daniel Birai, pastor in Fort Collins, and Don Reeder, principal of Campion Academy, as well as to commission Lee Lee Dart, lead pastor of The Adventure Church in Greeley. The committee also recorded the merger of the Longmont and Vista Fellowship churches into one church, now known as Mountain View Seventh-day Adventist Church.